Plastic jars display retail items with flair. Classic and conventional 79 ounce square containers put customers at ease and prompts them to purchase. Fill them up with accessories in your store. Create a candy corner by filling all 16 of these square candy jars with different favorites for customers. These plastic bins can be used to decorate in style at your special event whether a wedding or baby shower, when filled with colored candy to match your event. Plastic candy containers also come in a smaller 22 ounce size and a huge 169 ounce one. Use different size jars to add different dimensions to your display. 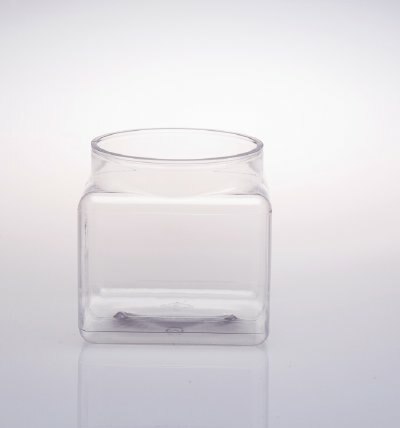 Get your plastic jars now.